If an atomic bomb exploded and the only safe beverages were exposed, and they happened to be beer would they be safe? It isn’t often that we can thank Uncle Sam for some of our Hollywood questions about how real a particular end of world as we know it scenario is. This is also a test that would be far beyond the scope of a MythBusters budget. 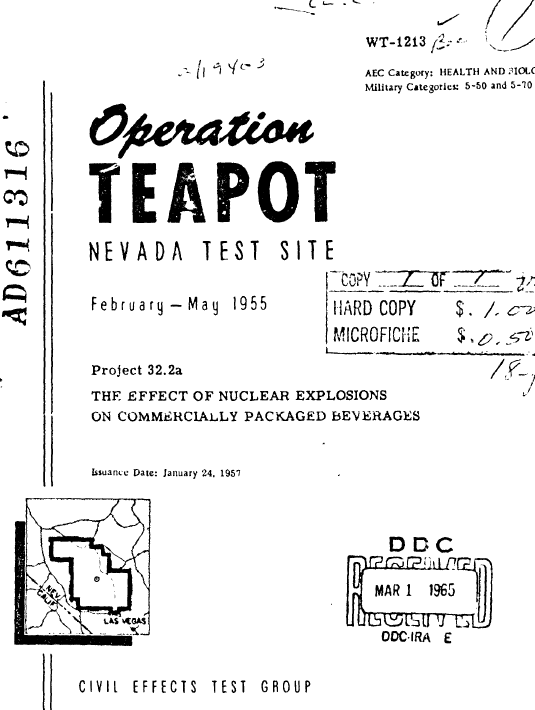 In the 1950’s the government carried out Operation Teapot to find out the effect of nuclear explosions on commercially packaged beverages. There are also good things to note that even in the beverages closest to the blasts the flavor was not affected very much. You can read the full government report here (PDF).